The dust has settled on the 2016 NHL trade deadline and teams are set for the final stretch of the 2015-16 NHL season. In some divisions, the race is tight and will likely stay that way until the season’s final day. At the time of this writing, only five points separated first and fourth place in the Atlantic Division, only eight points separated second and fourth in the Metropolitan Division and there was a three-way tie for first place and only eight points separated fourth place from the first three in the Central Division. But when it comes to the Pacific Division things seem close to being decided. The race for the Pacific Division’s top three spots has turned into an all-California affair. The Los Angeles Kings, Anaheim Ducks and San Jose Sharks, have opened up a sizeable gap between themselves and the rest of the division. A gap that should be large enough to sustain for the rest of the season. At the start of March, the Kings, Ducks and Sharks sat in first, second and third in the Pacific Division with 78, 76 and 74 points respectively. In fourth and fifth place, and outside of guaranteed playoff spots, the Vancouver Canucks and Arizona Coyotes sat tied at 60 points and had a 14-point deficit separating them and the third-place Sharks. In sports anything really is possible, but when it comes to the top three spots in the Pacific Division, barring a major slump from someone in the top three and surge from either Vancouver or Arizona, the Pacific Division seems practically decided. Canucks have 20 games left on their schedule and Arizona, in worse shape, has only 19 games remaining in their regular season. Vancouver and Arizona’s respective windows for a comeback is closing and closing quickly. The best chance the Canucks and Coyotes will have to climb into the top three in Pacific Division will be winning their remaining games against those teams above them. Vancouver has four games remaining against the Sharks, two games against the Kings and one game against the Ducks. While the Coyotes have three games against the Sharks, one game against the Ducks and zero games remaining against the Kings. When it is put in that perspective, with seven games against the Pacific Division’s top three, the Canucks may have the best shot at breaking into the party. And with seven games in total remaining against the Coyotes and Canucks combined, the Sharks could be in trouble if they hit a rough patch against their division rivals. Wining these pivotal games will not be an easy task for the Coyotes and Canucks. The Ducks, at the moment, are the NHL’s hottest team. Since Christmas, the Ducks have posted a 22-4-2 record to pull themselves into the middle of the race for the Pacific Division. Anaheim’s current eight-game winning streak capped off the most successful month in club history, where they went 12-1-1 during the month of February. 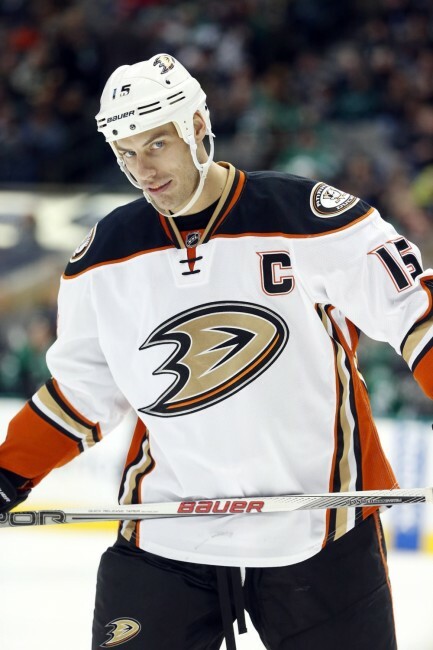 The Ducks’ resurgence has mirrored team captain Ryan Getzlaf’s return to elite form. During the month of February, Getzlaf posted six goals and 20 points and had at least one point in 13 of the team’s 14 games. The Ducks have come a long way from the 1-7-2 start to the season that had many calling for Bruce Boudreau’s head and don’t seem to be slowing down. Last season, the Sharks missed the playoffs for the first time in ten seasons. But with a sizeable lead over the Pacific Division’s fourth place, the Sharks look ready to make a return to the post season. In 2016, the Sharks have played 26 games and have earned at least a point in 21 of those contests. In 2016, the Sharks have played 26 games and have earned at least a point in 21 of those contests. 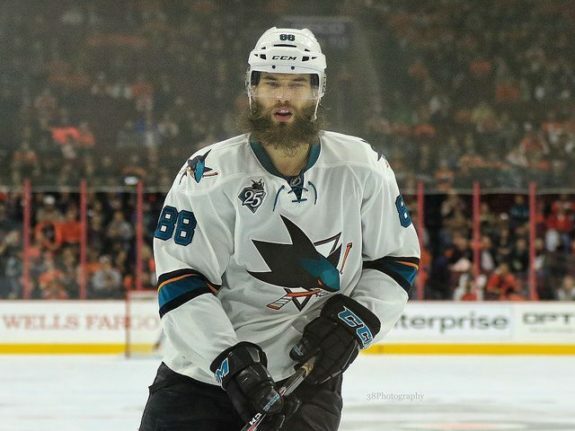 An 8-4-2 record in the month of February has pushed the Sharks to a 16-5-5 record during the 2016 calendar year and has San Jose trending in the right direction as the playoffs come around the corner. However, San Jose’s eight games remaining against the Coyotes and Canucks could either seal their fate or make things difficult as the season winds down. If the Sharks hope to lock up their spot among the Pacific Division’s top three, they need as many four-point swings in their favor as possible. With both the Ducks and the Sharks surging as the regular season winds down, the Kings might be the most vulnerable when it comes to recent play. On January 19, the Kings sat in first place in the Pacific Division and had a 12-point lead over the Sharks, Coyotes, and Canucks who were all knotted up at 49 points. As the calendar year flipped to March that lead has all but vanished for Los Angeles. Where did that 12-point lead go? Since January 19, when the Kings felt nice and comfy, they have gone 9-8-1. In that same time, the Sharks have gone 11-4-3 and the Ducks have gone 15-1-1. But as mentioned above, the Kings only have two games remaining against the Canucks and Coyotes. The fewer four-point swing games puts the Kings in a better spot when it comes to falling out of the Pacific Division’s top three. If either Arizona or Vancouver wants to disrupt California’s sweep of the Pacific Division, they will need to take a note from the Sharks and Duck’s play of late for a late season push. As we’ve seen with the Kings’ big lead in January, if a team get’s comfortable a lead could be gone in just 15 games. If the Canucks and Coyotes can’t catch California’s trio, then they will have to compete with the Central Division for a wildcard spot, which won’t be any easier, as they are eight points out of the last wild-card spot.